Simplify and automate the job of printing business cards. Use the "gangup" imposition style for unique or repeat jobs. 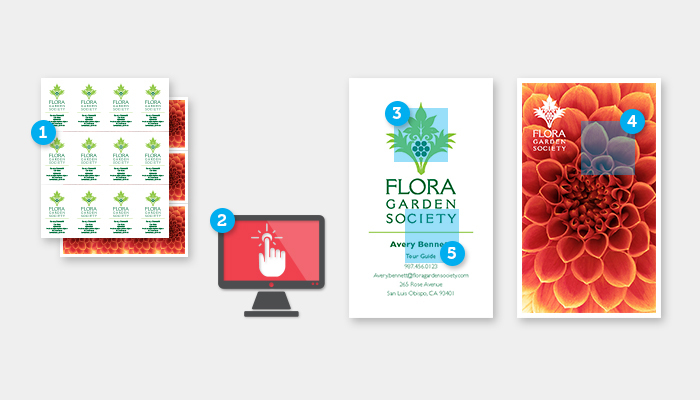 With Fiery® Impose, prepress operators can define a bleed area and crop marks in order to properly cut cards during the finishing process, or honour the designer's intent by automatically detecting the trim box and bleed box defined in the source document. Automate the business card makeready process by using the Hot Folders, Presets, or Virtual Printers workflows. Business cards often include logos and brand colours defined with spot colours such as PANTONE®. Fiery servers support PANTONE and other colour systems to match a desired spot colour on a given printer. When business cards include images, or a mix of images and spot colours, Fiery servers will correctly render and produce accurate colours. Fiery servers can also enhance the small, fine text and graphics often used on business cards. Use advanced Fiery tools to identify and correct file issues before printing such as missing fonts, spot colours, low-resolution images, mixed source colours, hairlines below threshold, overprints, artefacts, transparencies and PostScript errors. Fiery ImageViewer provides a pixel level preview of a raster file to pinpoint source of problem (file, engine or job processing), and also enables last-minute colour adjustments.